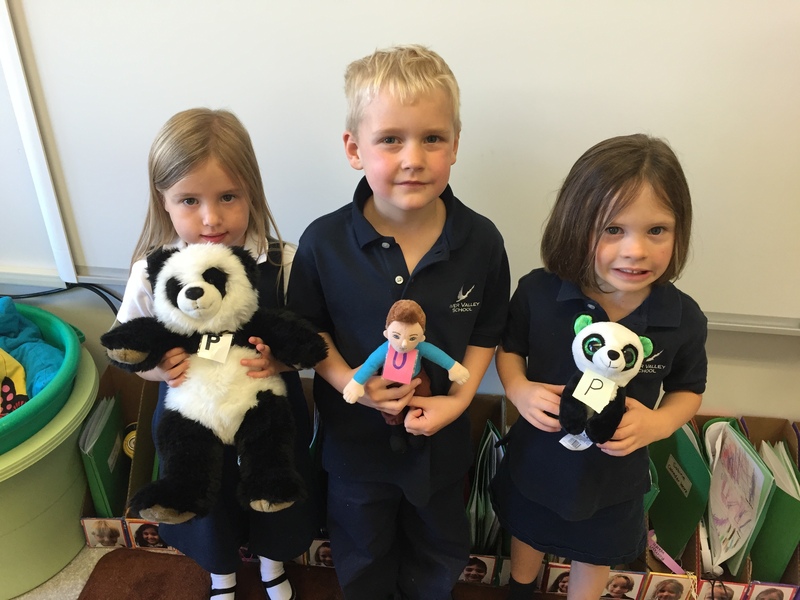 The Kindergarten A kids at River Valley School have put together a newsletter JUST for you! What news are they sharing with you? Their Energy Diet Challenge news that’s what!!! Living Green is easy if you know how to do it! The kids are excited to share some of their exciting information with you to help you out!!! Check out some of the things they recognize as important when living green by clicking on our newsletter below (give it time to load)!!! Join us in our efforts to LIVE GREEN by signing our pledge below! We need to get 150 pledges!!! SPREAD THE WORD AND THANKS FOR JOINING US!!! Our Living Green project continues to captivate our excitement and imaginations, as well as fill our minds with important concepts to think about. We are so eager to keep our environment safe and healthy! Over the past few weeks, we have completed several challenges, discussing topics including eating locally, reducing phantom power, recycling, and green transportation to name a few! The children have truly jumped on each challenge we have completed, inquiring about how we can best complete this, share it with others, and take our learning home with us! We are excited to share some of our challenges with you! Recycling is INCREDIBLE and we need to ALL do what we can to help save our environment by recycling items such as glass, metal, plastic and paper. For this activity, children learned all about the different ways these items are recycled and the different processes they all go through. We split up into 4 groups, each representing one of the above items to recycle. We were able to create and draw items made out of these materials, and explain how the recycling process works! The children were excited to discover what happens to our everyday items, and what magnificent things they can be turned into once recycled! Once we completed this challenge, we started saving up recycled items in our classroom. Guess what we turned them into?! ART OF COURSE! CAUTION! KIDS AT WORK, IMAGINATIONS EXPLODING IN HERE! The amount of tape and glue, ripping and folding, sticking and cutting that happened was awesome! The children showcased their creations in the form of an Art Gallery, inviting parents and other students to view what they made! Follow our blog to see more exciting challenges… coming soon! Kindergarten A has decided to take part in the Classroom Energy Diet Challenge to help protect and take care of our environment. Children are encouraged to complete a variety of challenges to help reduce their energy use and to take care of the environment. Sign our pledge here and join us in our endeavors to make our world a greener and healthier place! We are looking to get 150 pledges!! Check out the video we made using Shadow Puppet! We can’t wait to share with you more about our energy saving excitement! Tonight we are eager to go without an energy using device to see how long we can last without it! Wish us luck! Baby Sophia is growing so much every time we see her! We had a lovely visit from her on January 19th when she was 6 months old and we were impressed to see how much bigger she had gotten! She also seems to be getting cuter if that’s even possible! For this visit we discovered that Sophia had gained one pound, weighing in at a total of 20lbs! She also grew FIVE blocks taller, making her a total of 35 blocks tall (or long)! We also learned that Sophia was starting to eat real food such as chicken, sweet potatoes and peas (puréed). She grew into much bigger diapers too! Sophia is able to sit up with very little support now and can use her arms to hold herself up while lying down. She is getting so STRONG! 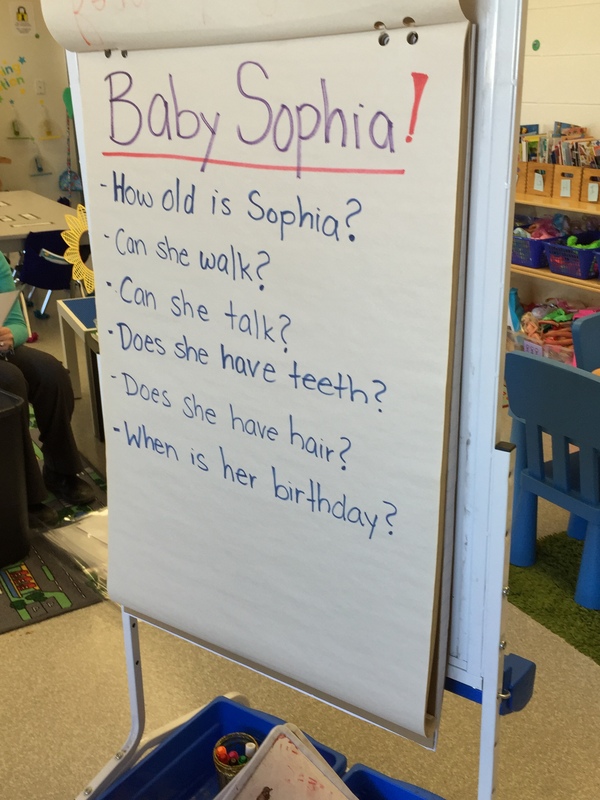 We were also excited to learn about the fancy tool Mrs. Elsayed uses to carry Sophia around. She was able to hold Sophia on her body, just like a back pack! She also had a really neat blanket/sweater that helped to keep both mom and baby warm! Sophia’s head stuck out of it and the rest of her body was nice and toasty warm! 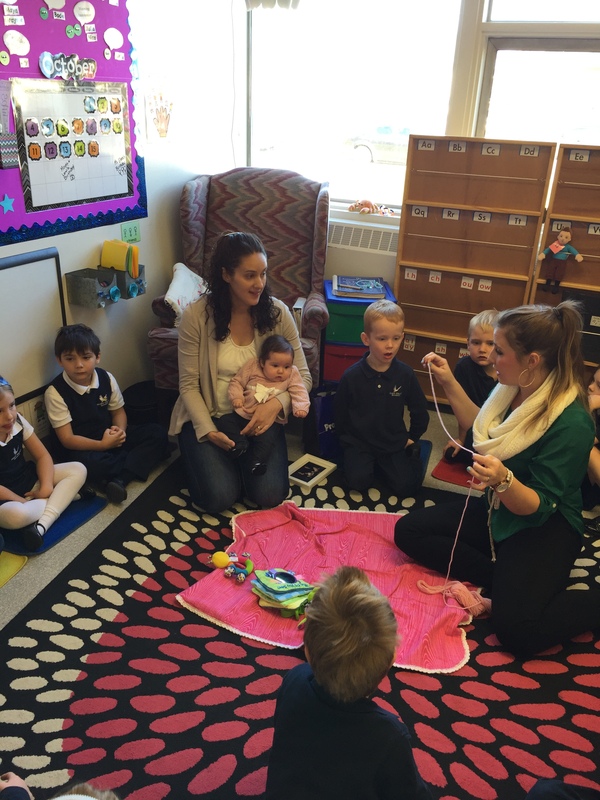 Our visits with Sophia are always lots of fun and we all enjoy giggles and laughs with our sweet little friend as we watch her grow up! Seesaw: For the LOVE of Technology! If you don’t already know what Seesaw is, QUICK!!! click the link below to watch a brief video explaining what Seesaw is and how it is commonly used for educators! Seesaw is an online digital portfolio that “empowers students of any age to independently document what they are learning at school” ~ Seesaw. Seesaw is an incredible tool that allows children to showcase their learning, take pride in it, and share it with personal audiences that they care about! 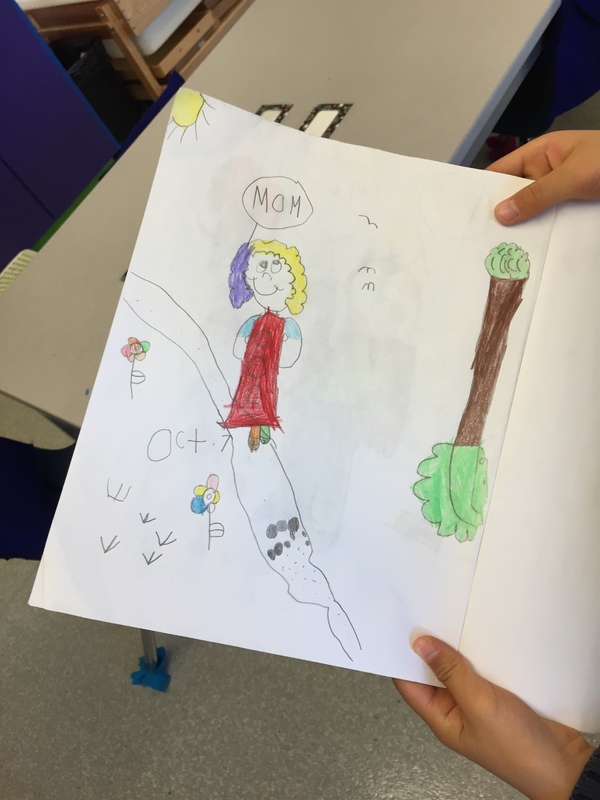 In my Kindergarten classroom, I have many family members linked to their child’s journals, even some people from across the world! Seesaw connects the children to people they love, people they actually WANT and are excited to share their learning journey with! 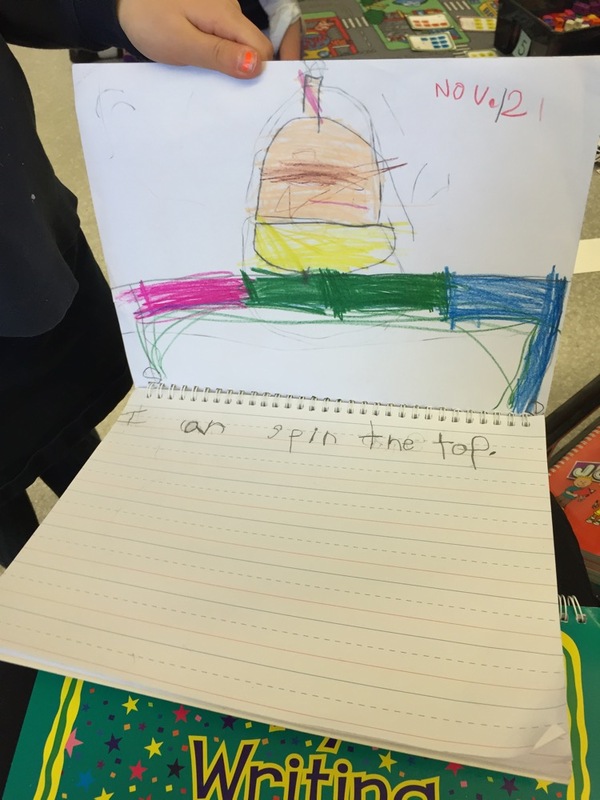 Here the students in my full day Kindergarten class are using Seesaw and the ease in its use is fantastic! Students can document their understanding, share an idea, or showcase a creation, all with the simplicity of a few taps. Students are able to do all of this in seconds! The best part about it? Teachers have 100% control over what is approved and published to each child’s journal, ensuring posts are academic and appropriate for sharing purposes. As shown in the photo above, I have full control as to whether I click approve or not (simple √ or x). If so, this item would be added to the child’s journal instantly, sending notifications of the new item to parents as well! Journals are also COMPLETELY PRIVATE and only shared between the teacher and the connected family members! Family members easily connect to their child by scanning a QR code, instantly linking them to their child’s journal! 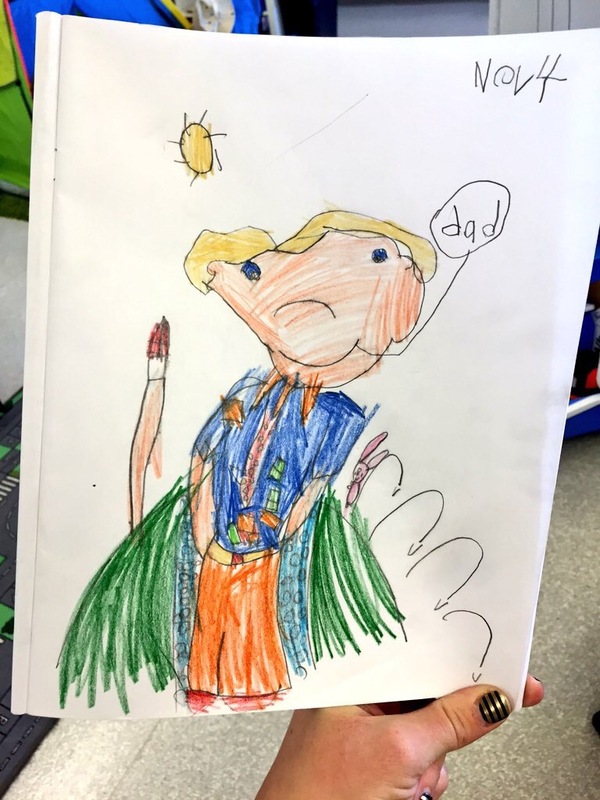 Family members also have the option to like ❤ and comment on their child’s work through text or audio, sharing their excitement and enthusiasm about what has been posted! This is also a GREAT way for teachers to communicate with parents directly through the app! Children absolutely LOVE using Seesaw and posting items has become a part of their daily routines in my classroom. 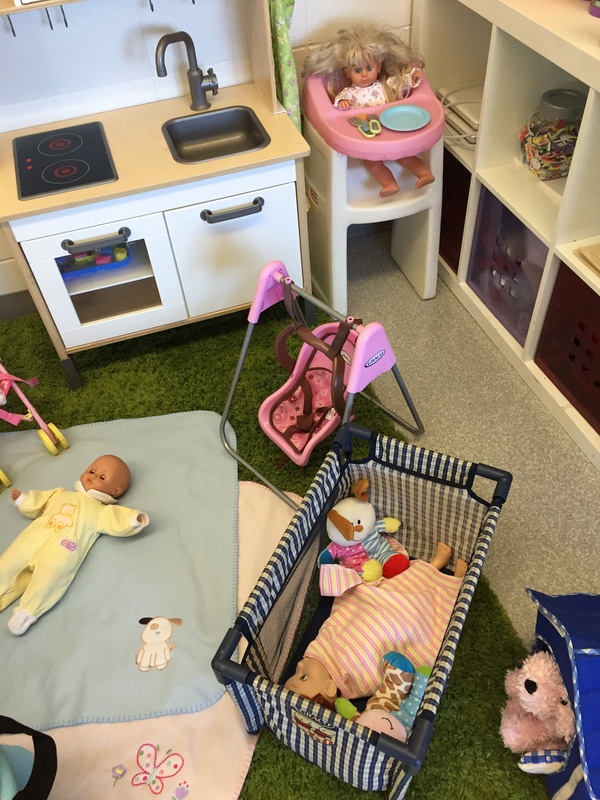 Children are trusted to do this with independence and rarely need ANY assistance or support. They are learning how to use this device with purpose and how it can extend their learning through explanation and thought out descriptions of what they are doing at school. The most time I spent explaining Seesaw to the children happened in the first 1-2 weeks of introduction (this would be dependent on grade level), after that the kids picked up on it quickly, with enthusiasm and an eagerness to document their learning right away! The children love using Seesaw and enjoy talking about their work. They also create incredible stories and imaginative explanations through this app. 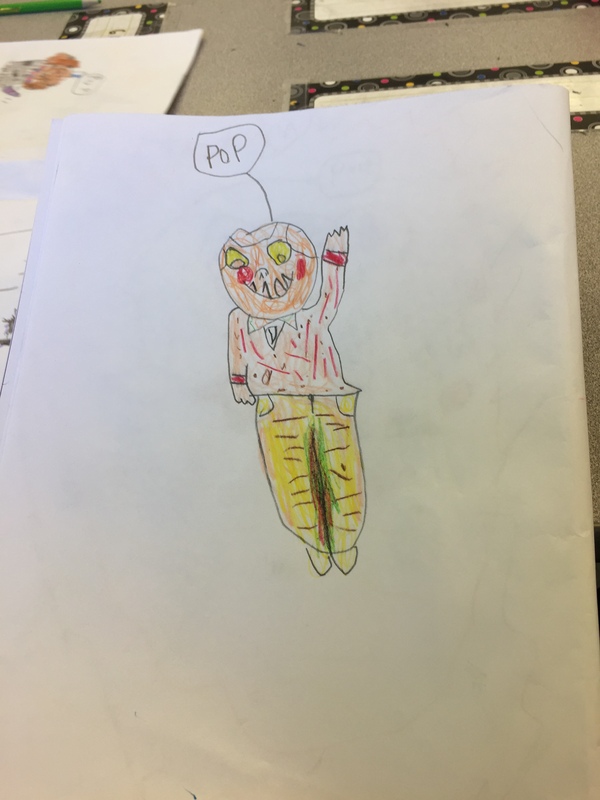 In this example, a child is explaining their picture of a fox. Listen to the story that was created by them… and guess what!? 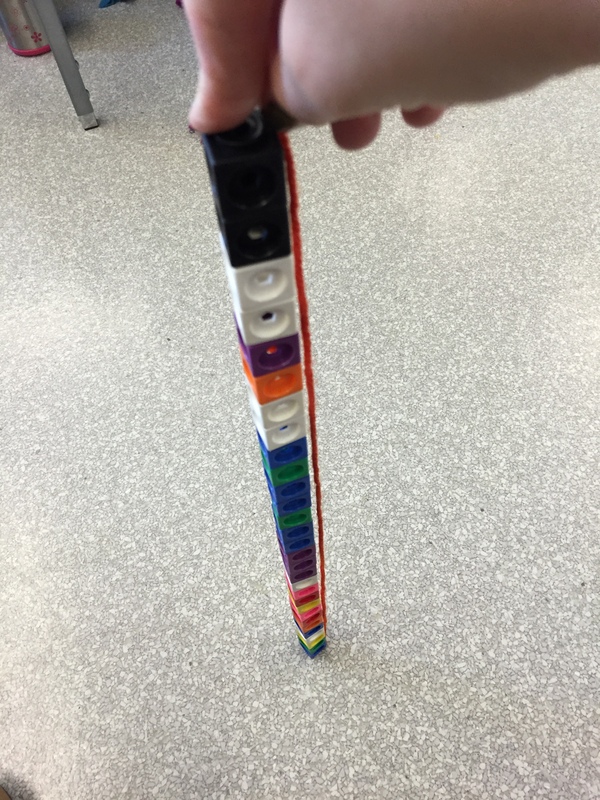 That amazing creation was captured on Seesaw to share and use for assessment purposes! These direct quotes from students are reason enough to use Seesaw! Seesaw is also so much fun to use as a learning tool FOR creation, not only for sharing completed work! Children are encouraged to create IN Seesaw, using features such as video and the Draw and Record feature to assist them. 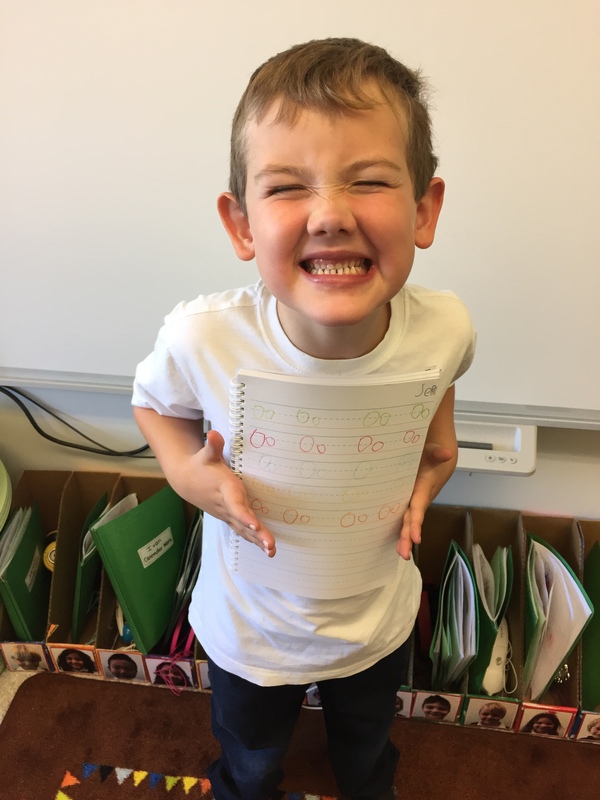 My kids love to go on Word Hunts, for example, finding, reading, and writing words that they find around the classroom and school, all completed through the app. 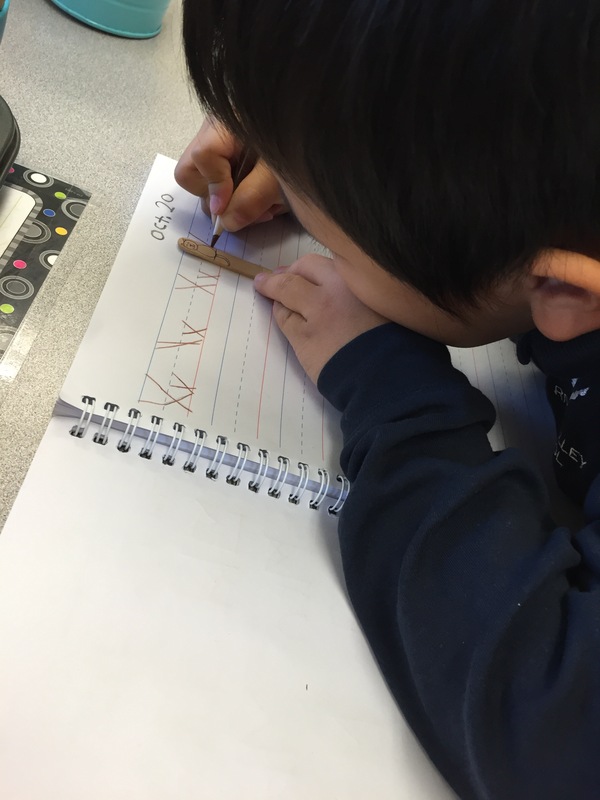 Teachers and parents can see first hand what the child is doing, if they are able to read the words they find, and they can focus in on the child’s letter casing when writing too! Children also enjoy using this feature to explain their mathematical thinking, their problem solving skills, and to express how they know the answer to a challenging problem! Seesaw is JAM-PACKED with easy-to-use features! Students are able to take photos and apply audio to them. They can draw, video, access the camera roll to use Seesaw with other applications, and write notes or add links. The possibilities are truly ENDLESS and it is amazing how it can be used across all grade levels! If you click here, you will see that Seesaw has compiled an incredible selection of tips for getting started, lesson plans and ideas for implementing its use with your grade level, as well as videos to help you understand just how incredible this tool is! Here some of the kids in Grade 2 are exploring with Seesaw for the first time, adding selfies to test out some of the features! They are thrilled to have been introduced to it and they are eager to start using it on a daily basis in their classroom too! Below are a few more examples of how kids in my classroom are using Seesaw! I love how, being a HUGE Twitter fan, you can easily share and upload items from Seesaw to various social media platforms with a quick tap. These are posted anonymously too! If there wasn’t already enough to love, Seesaw is also compatible with other educational apps that allow students to easily create and share from different ED Tech platforms. Some of our favourite applications that we use with Seesaw are ChatterPix Kids and Shadow Puppet Edu! These FREE storytelling apps easily allow us to create amazing projects and save them to our camera roll, accessing it simply with Seesaw. ChatterPix Kids allows us to make our pictures talk by applying audio and adding a mouth to our creations, bringing them to life! The kids LOVE this app and it is a GIGGLE GUARANTEE! Here a child used this app to make their Thanksgiving turkey talk! Shadow Puppet Edu gives us the ability to put a series of photos together, adding audio and turning it into a storybook! Here I created a Shadow Puppet story to explain some of the exciting routines in Kindergarten A! Through Seesaw, you can also easily create links around the world with global connections and other tech savvy teachers who are eager to connect! 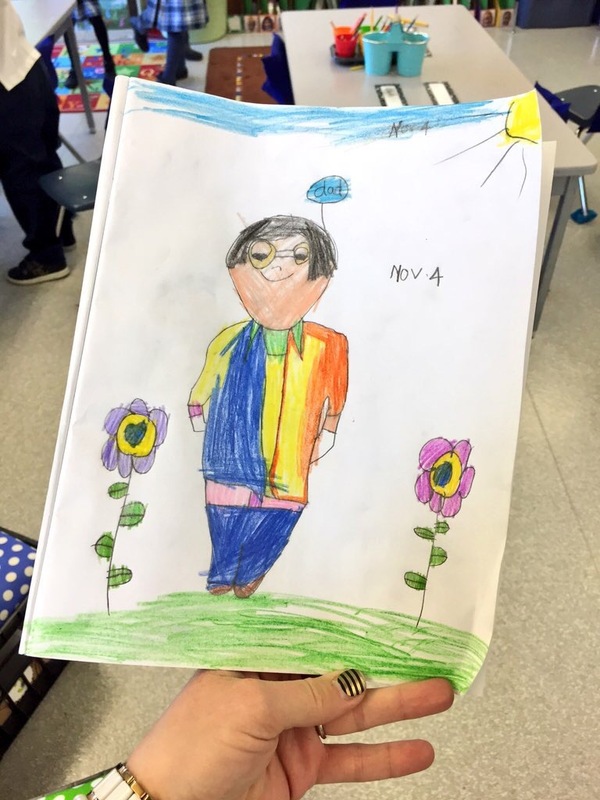 In my Kindergarten class, we joined a Seesaw Link-Up project (shout out to Angela Gadtke for inviting us) connecting regularly with classrooms, teachers and students in Northern Ireland, India and the United States of America! The children are thrilled every day to see the comparisons between schools and they enjoy learning about our new friends across the globe! The video below shows our self portraits that we shared with these friends, created in Shadow Puppet Edu! “It is a great way to see what the kids are up to. We have also signed up both Grandmas and they are enjoying getting the posts very much. My child is very proud of his posts and loves to look at them, replay them and sit with us, his siblings, relatives, friends, grandmas and grandpas and tell them all about the posts. In short, I think it is fantastic!” ~ Michelle V.
“Seesaw is awesome. Personally, having two kids on it at very different levels, I find its uses multifaceted. 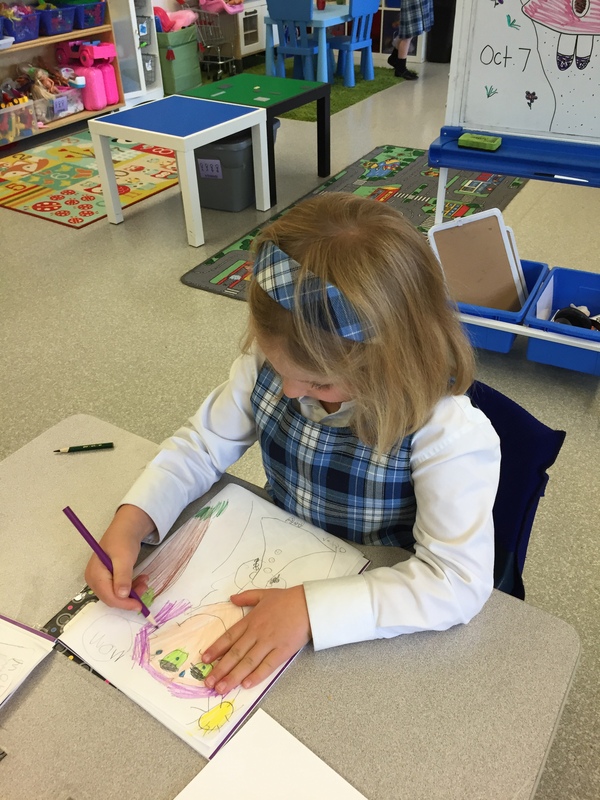 I love seeing what my child is up to in the classroom and it is fun to watch” ~ Emma L.
“I think the app is fantastic. I love throughout the day getting little updates about what my child is doing. And it’s also a great way to talk to him about his day. I highly recommend it for other teachers!” ~ Mary-Anne C.
“I love Seesaw! It’s as simple as that. The updates that I get throughout the day are often the highlights of my day. It is so wonderful to be able to see not only what my son is doing (since getting that information directly from him is next to impossible), but to also see how happy he is. Miss Kim uses it regularly and it helps us engage in conversations about how our son is progressing. I am able to send her (and my son) comments and questions directly through the app. It is an informative and fun tool. LOVE the Seesaw!” ~ Luigi R.
“My child seems to be gaining confidence. 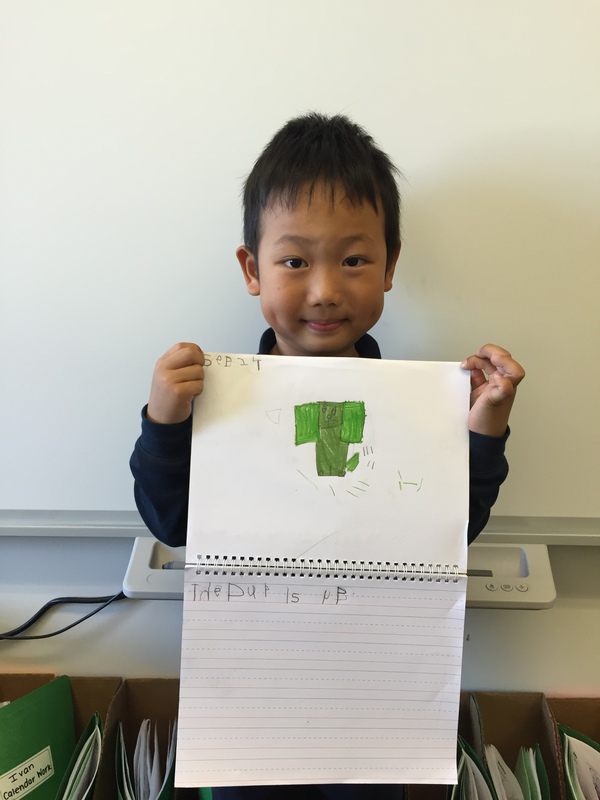 He is a shy child, and we’ve noticed that he is coming out of his shell more — that is evidenced by his enthusiasm in sharing his projects through Seesaw. 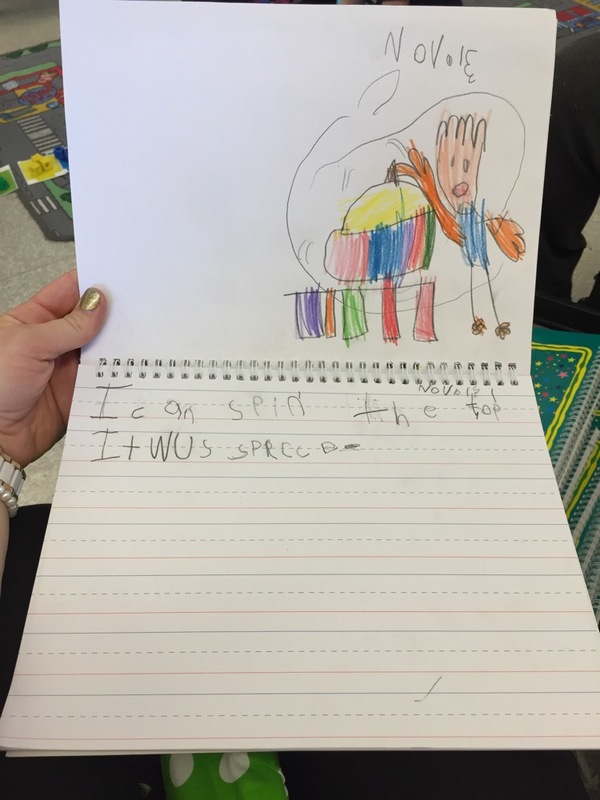 It’s really nice to see the pride he has in the work he is sharing with us and it gives a great starting point to conversation with what happened at school.” ~ Christina R.
The possibilities with Seesaw are truly endless and I fully support and encourage all educators to try it out and adopt it into their classrooms and schools! Not only is it amazing for students, but it is also an incredible assessment tool for teachers! Long gone are the many random pieces of paper with assessment notes scattered and scribbled about (I know you know what I mean) 😉 Seesaw keeps everything in one easily-accessible place: notes, audio messages, pictures, videos, all assessment needs are met! The easiest way to do this for me was to create a separate class for assessments only with no parent access given. This class is a forum for me to document any anecdotal notes and assessment thoughts throughout each day at school, filed nicely into folders and under each child’s name! When I go to write reports, I can click on each child individually, seeing only their work, as well I can click on the folders (Math, Language Arts, etc) and assess from specific topic! Report card writing has never been so easy! Can we say Seesaw to the RESCUE!?! From my extreme interest and support with this product, I have become a Seesaw Ambassador, eager to share my passion with others!! I am constantly learning more about this product and am very eager to share my knowledge and love of it with others! Connect with me on Twitter @ClimbandGrow, comment below, or send me an email if you ever have ANY questions or need help with using or introducing this product in your classroom! Join us for #SeesawChat every second and fourth Thursday of the month at 5pm MT on Twitter where educators around the world using Seesaw meet, discuss and share! I hope this post gives you a bit more information on using Seesaw! I know I love it and I have been spreading the word throughout my school and the social media world of education because it is necessary! I hope you recognize the benefits of Seesaw and jump to use it with your students very soon! For the LOVE of technology, I HIGHLY recommend Seesaw! For the LOVE of Technology… A Series!!! As most people who follow my Twitter feed or blog know, I am a huge advocate for using technology in the classroom. As long as it is used as a tool to further enhance the child’s learning experience, I am thrilled to introduce it to my students and other educators, giving them the tools necessary to be successful with it. So many people struggle with the idea of technology and education, specifically early education, and whether or not it is beneficial for the child. I personally believe that it all depends on how the technology is being used in the classroom. It is up to us as educators to ensure children are taught how to use these devices appropriately to benefit their learning, rather than allowing them to zone out and get sucked into it without purpose. I would like to discuss some new technology that I have introduced to my Kindergarten students over a few blog posts. I will explain how it is used and how the children benefit from it. I will discuss and review Seesaw, Osmo and Tiggly. I will also explain how some common devices found in classrooms, such as Smart Boards and simple Internet connection, can lead us to many extraordinary ways to integrate technology for the good! So for the love of technology… LET’S DO THIS! 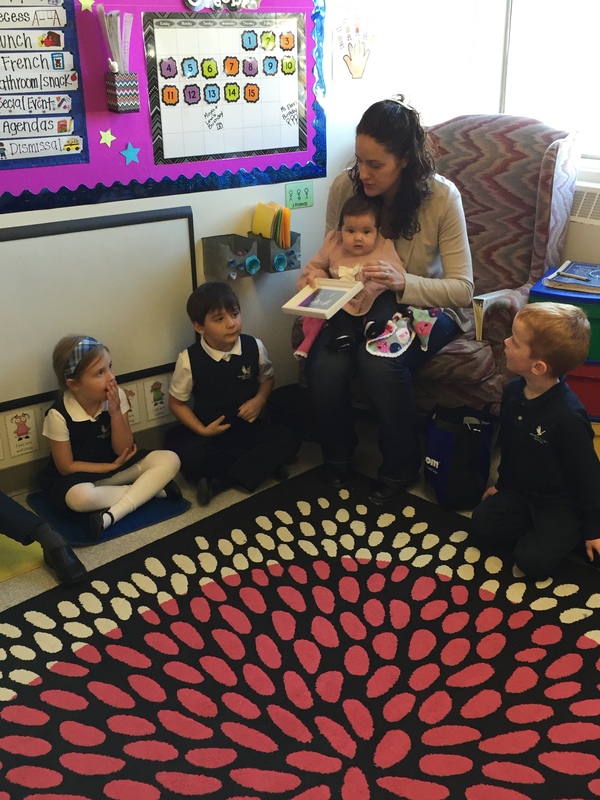 On December 17 Baby Sophia came and visited us for the third time in Kindergarten A! She was all decked out for the holidays, as were all the children, including Miss Kim the elf! 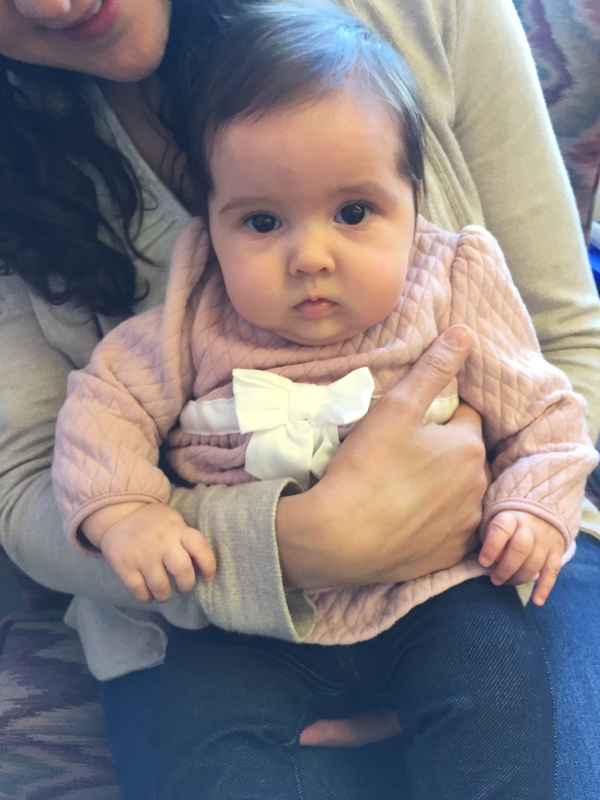 Baby Sophia, being 5 months old now, has shown growth in her height, weight and differing abilities since we first met her in October. She maintained the height of 30 blocks from November to December, although she did gain two pounds, increasing her overall weight to 19lbs! 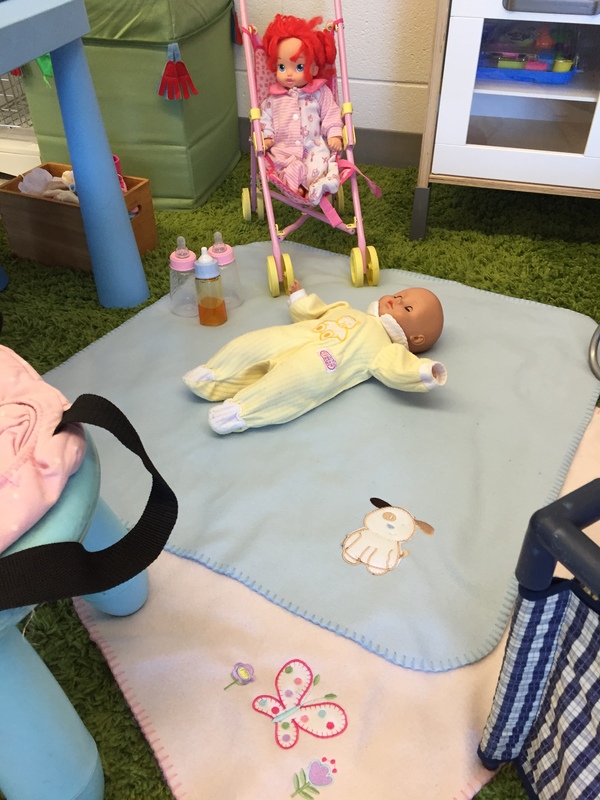 Some of the interesting things we learned about Sophia this month were that she is teething and has different toys to chew on to help her with this. 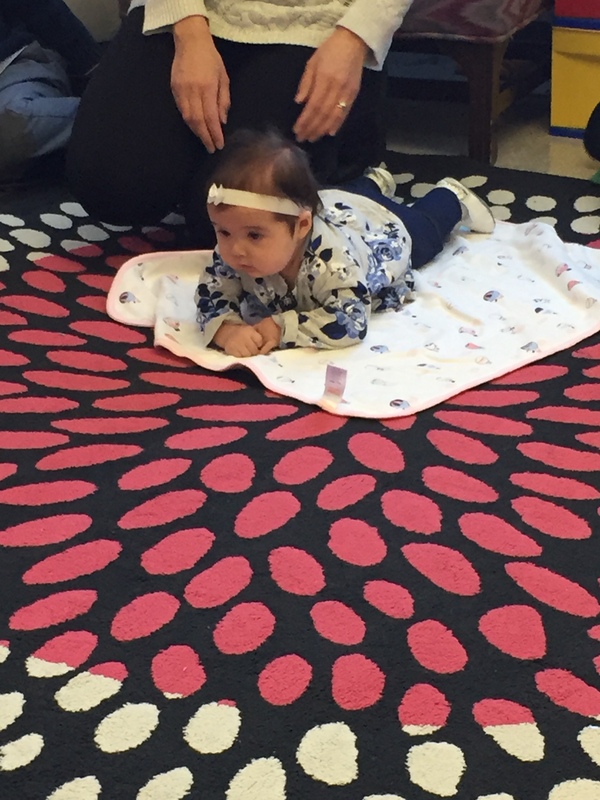 The KA students love watching her interact with them and enjoy listening to the giggles and different sounds that she makes! 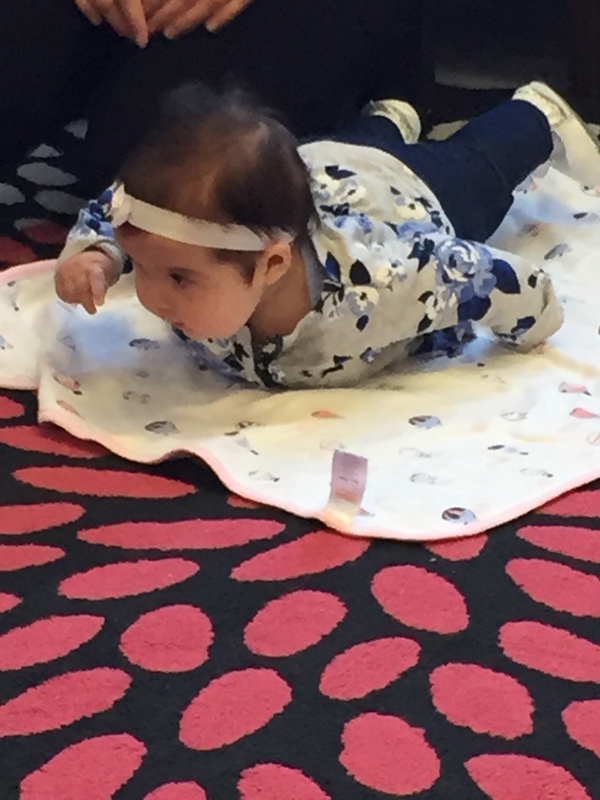 One of our favorite things to watch baby Sophia do is the “airplane”. Every time we see her she loves doing this and when we all giggle, she can’t help but do it more!!! We are all looking forward to having baby Sophia visit us in January! We can’t wait to see how much she grew over the holidays!!! 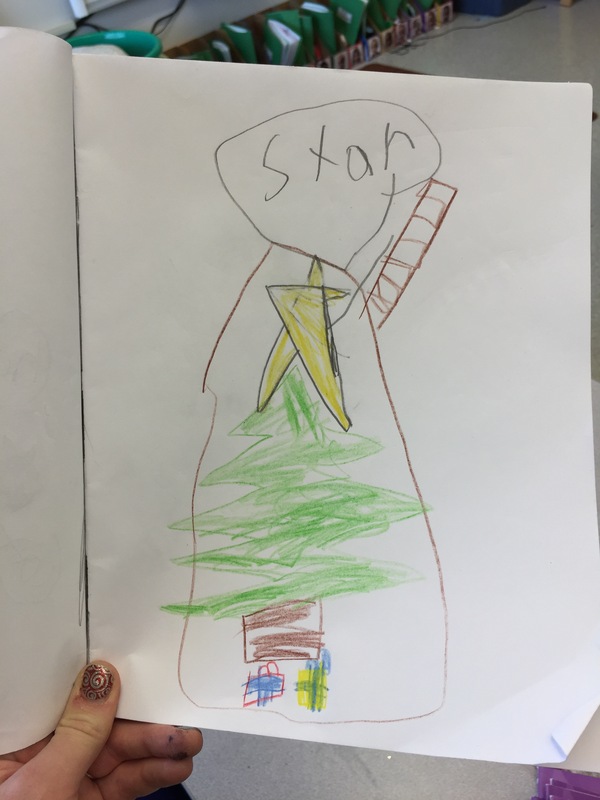 In Kindergarten A we’ve been enjoying getting ready for the holidays and our upcoming winter break! We LOVE playing outside at recess and the falling snow has gotten us all in the mood for making snow angels, snow forts and snowmen! To bring a little of that snow magic into the classroom we have been creating a variety of exciting snow-related things such as snowmen, marshmallow towers and sugar cube igloos! 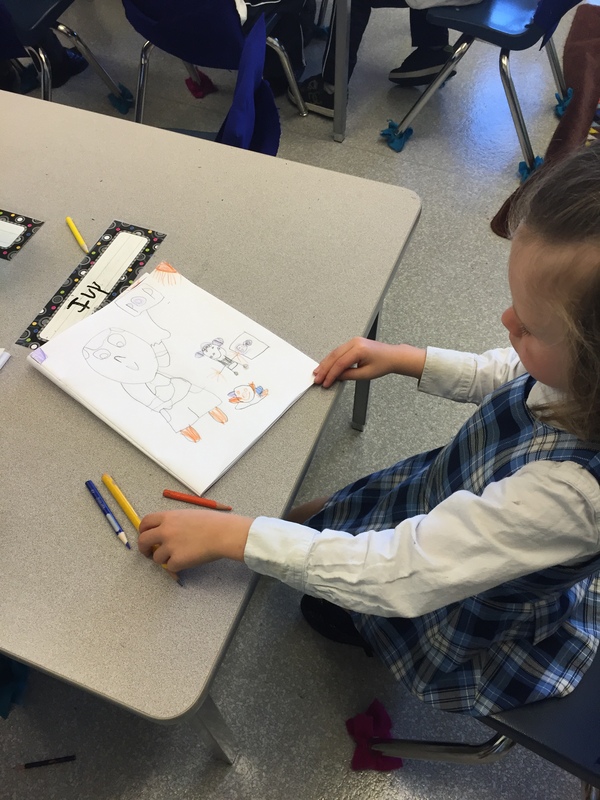 For our snowman art, we recognized that all snowmen are unique and different, just like us! We read the story, “Snow Happy to Be Here: The Slightly Silly Story of the Snowblatt Family” by Cheryl Hawkinson. We then created 3D paint by adding white glue to shaving cream. Once mixed, it turned into a paste that was fun to touch and paint with using our fingers! We all added different details to our snowmen to make them all look unique and special. The coolest part was that when you touched the dried paint we made, it felt soft and fluffy like REAL SNOW! Since this time of year we think lots about yummy marshmallows with hot chocolate or eating the hardened marshmallows on our gingerbread houses, we decided to make marshmallow towers – relating this to our inquiry project about building. The children were given toothpicks and marshmallows and started creating! The towers and structures they came up with were AMAZING!!! And of course, eating the marshmallows at home later on was a delicious treat! For another fun project, attached to our continuously ‘building’ building inquiry project, we decided to create snow igloos with sugar cubes and glue! Building with a variety of materials allows the children to act as ‘little engineers’, working hard to solve problems such as “why does this keep falling over” or “how can I make the base stronger”. It also allows them to compare different materials, recognizing which items are stronger or weaker, as well as which items allow you to build higher up or wider and outwards. We really did have SNOW much fun!!! Phonics phonics phonics, oh how important a good phonics program is, am I right!? As a passionate early education teacher, I believe that it is crucial to develop strong phonological awareness in children so they are successful with literacy development moving forward. 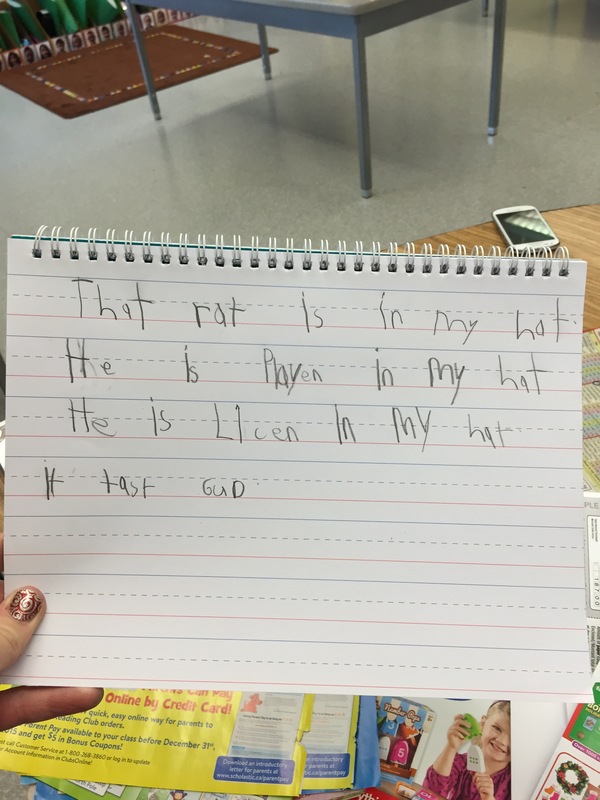 I want to en-still a LOVE for reading and writing in all of my students and in order to set them up for success, I need to make sure they are prepared with a strong foundation in phonics. 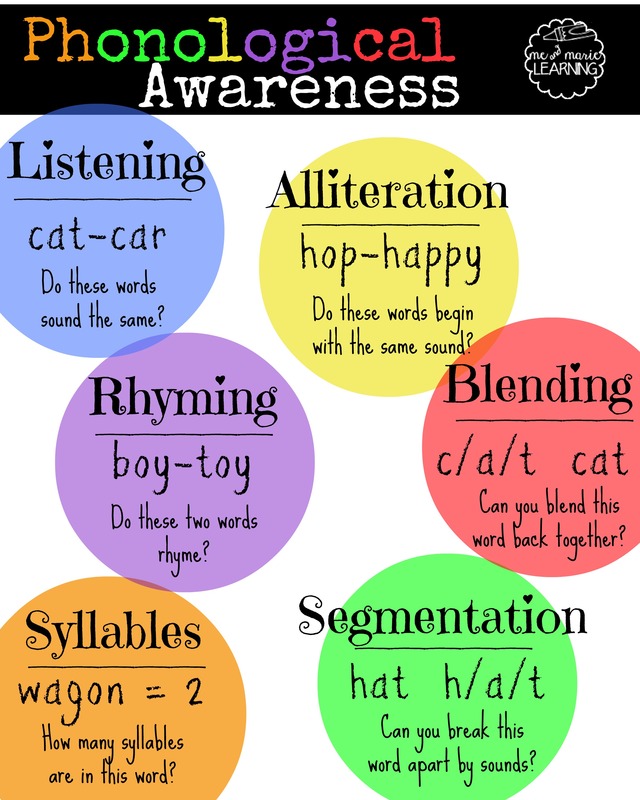 Below is a wonderful diagram I love, from Me and Marie Learning, describing some of the key components of phonological awareness. 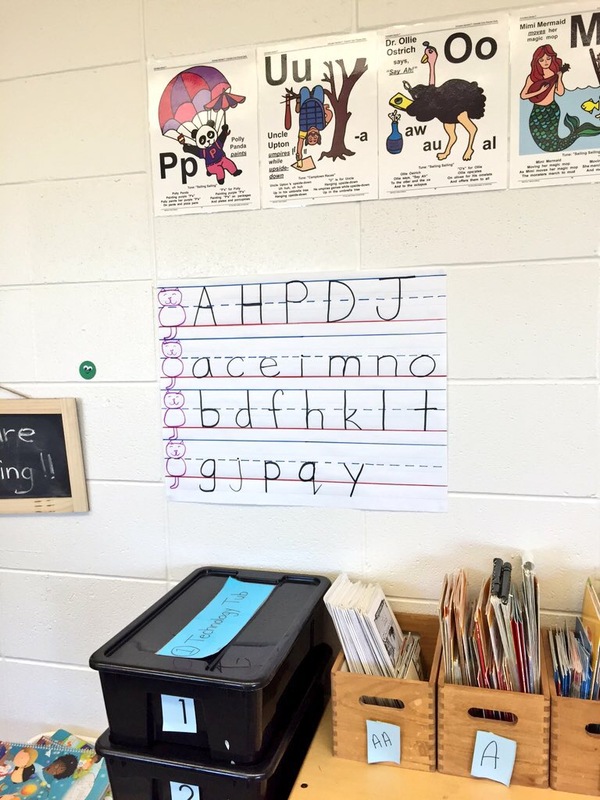 In my Kindergarten classroom, I use a program created by Jim Stone called Animated Literacy which I believe is an incredible program to introduce children to phonics in a way that actually sticks with them. 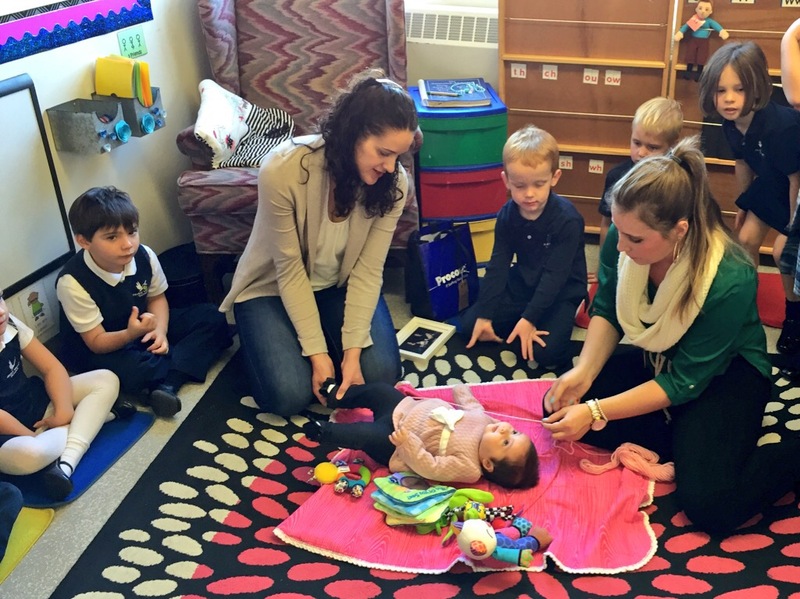 At my school, River Valley, we start introducing this program with our Tots (three-year-olds) and continue it’s use up to and including Grade 1 so children have continued exposure to it over four years. 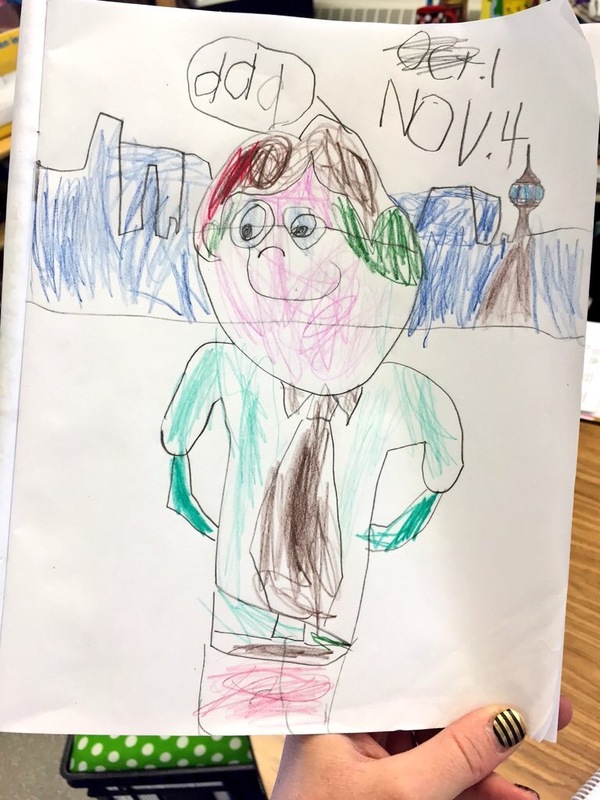 In my classroom, I personally break this program into four steps: Character Introduction (45 characters), Rainbow Writing (printing practice), Guided Drawing and Journal Writing. Children love the silly songs and stories that each character comes with, as well as the simple actions that help them to remember the letter sounds and blends. Let me dive a little deeper into how I use this multi-sensory program in my classroom with these four fun steps. Each letter in the alphabet, as well as common blended sounds such as ‘ar’, ‘oo’, or ‘th’, to name a few, have a character that goes with their sound. Introducing each character is the first step to how I structure this program, explaining the characters story, their letter sound, the action that pairs with the sound and their silly song. Children always compete “pair-shares” prior to hearing the characters story. Since Polly Panda likes to paint, we get the children to share with a friend something they like to paint and why. They take turns sharing what their friend said so they can focus on listening and recall. We then read a story that relates to our story about Polly. 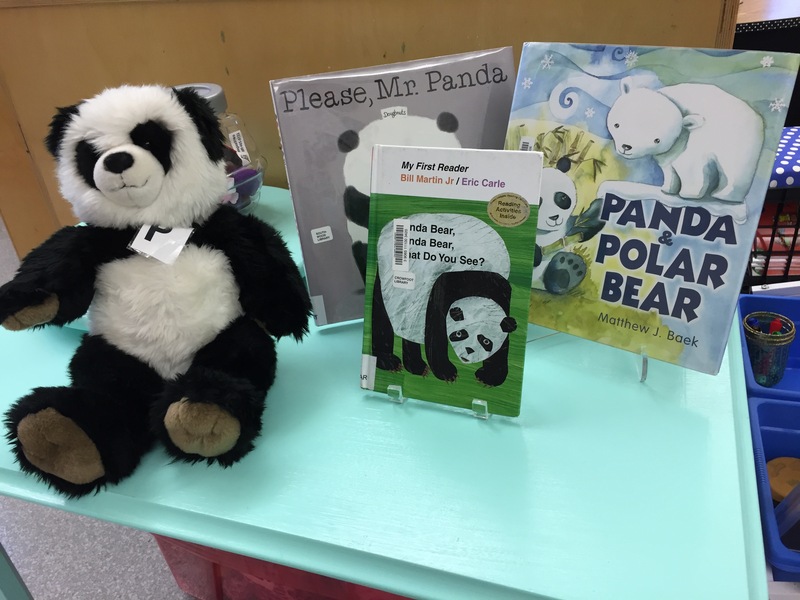 Often stories can be related to the animals, so in this case pandas, or it can relate to what the character does, paints. This helps to keep the children thinking about the patterns in our stories and how they relate as we tie it all together. 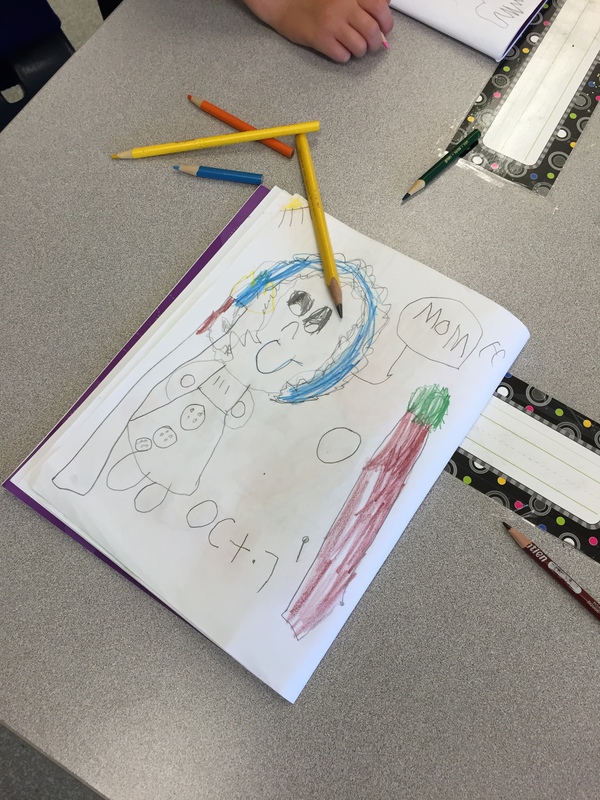 We then read Polly’s story, listening to the alliteration in the story, such as, “Polly Panda paints porcupines and pizza pans with pink and purple paint”. Children will often act the stories out as well, to get them involved in more whole-body learning. Each character also has a stuffed animal to go with it, really bringing the stories and characters to life for the kids, and might I say… THEY LOVE IT! Here we have our character Polly Panda, representing the letter P and Ollie Ostrich, representing the letter O. 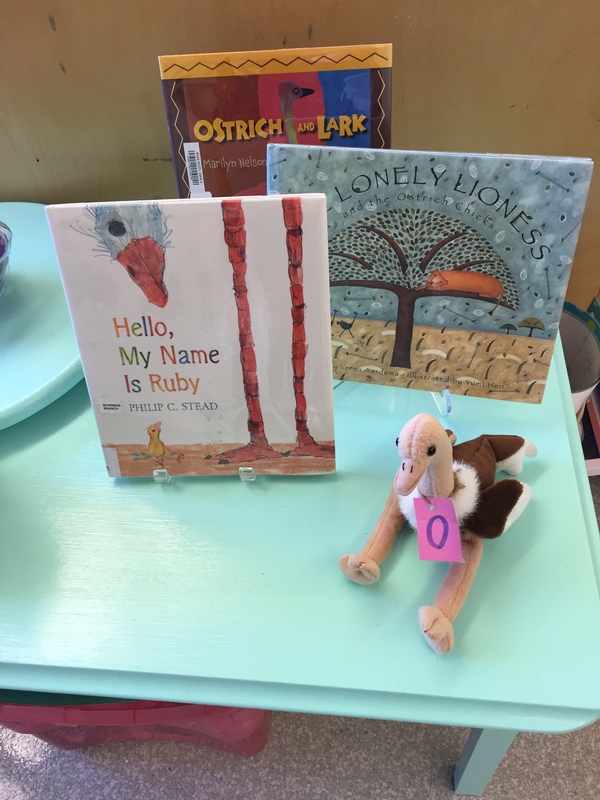 Stories are brought into the class that relate to our character for that week from our local library. 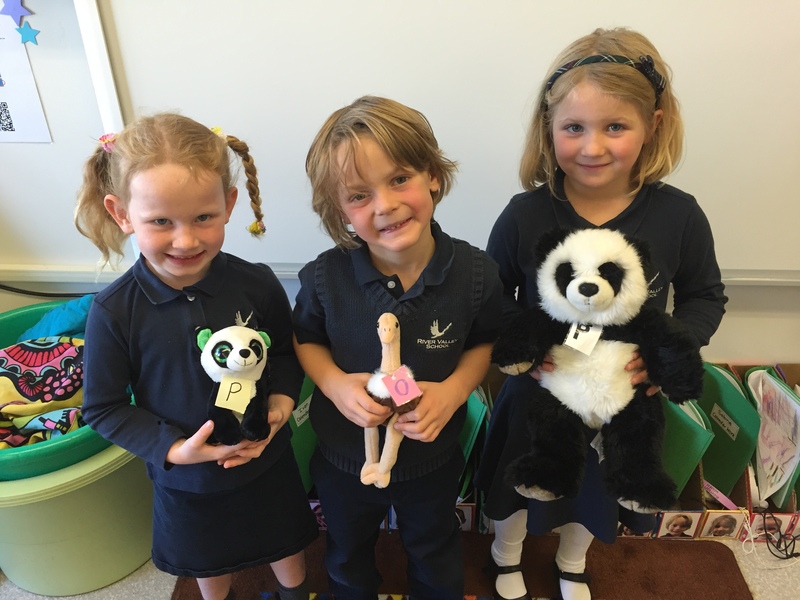 Here children are using the plush characters to create words by blending the letter sounds together. 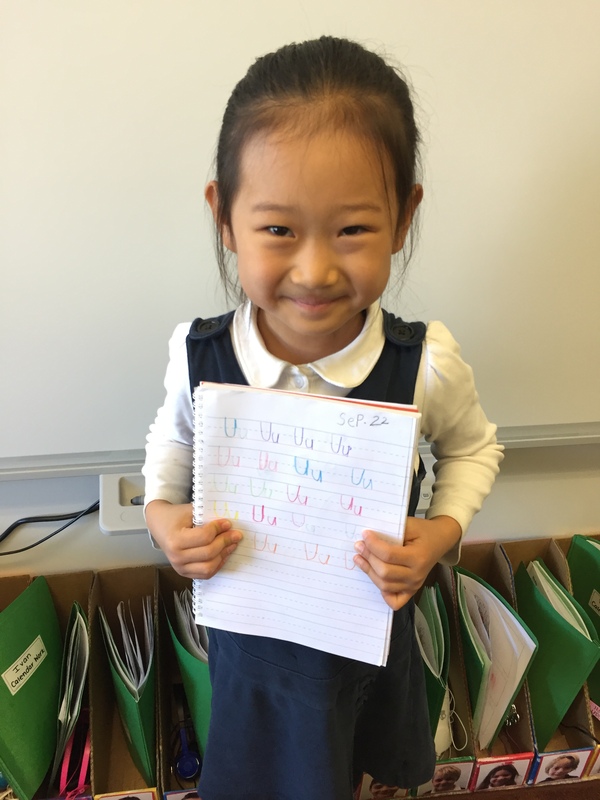 Children are introduced to the letters Pp and Uu first, so they can start reading and writing words such as up and pup, feeling success right away! 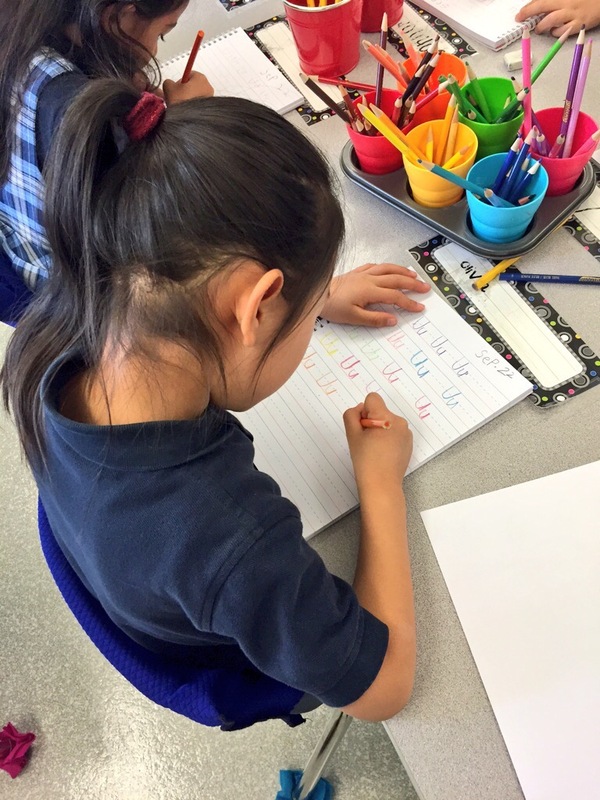 The second step to our program is Rainbow Writing. 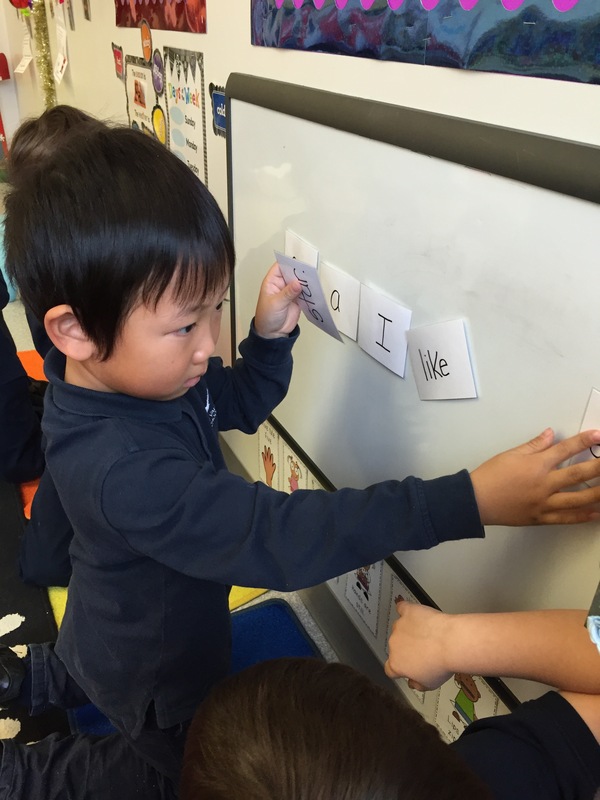 This step allows the children to practice the written formation of BOTH (yes, both) upper case and lower case letters. 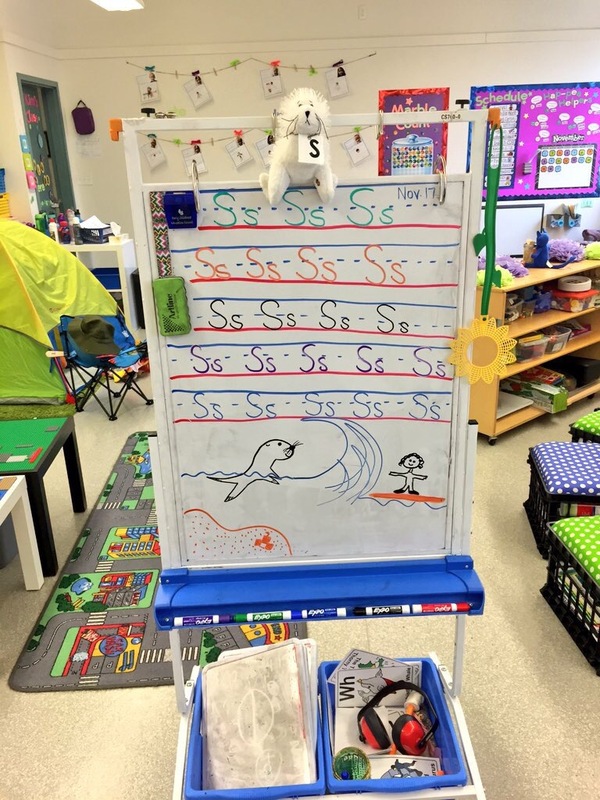 This allows the children to learn when it is appropriate to use each type of letter. 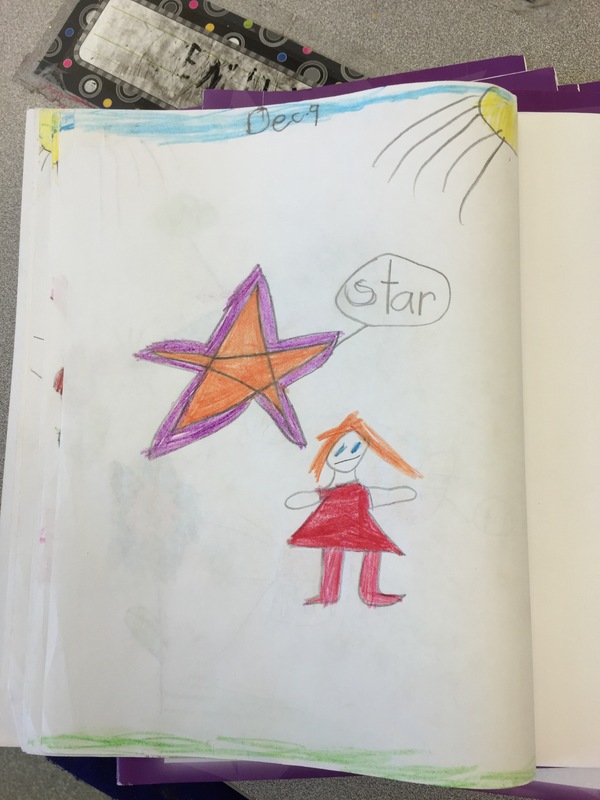 Children write the letters with colors of their choice and once complete, recall the details of that characters story and bring them to life with their drawings. 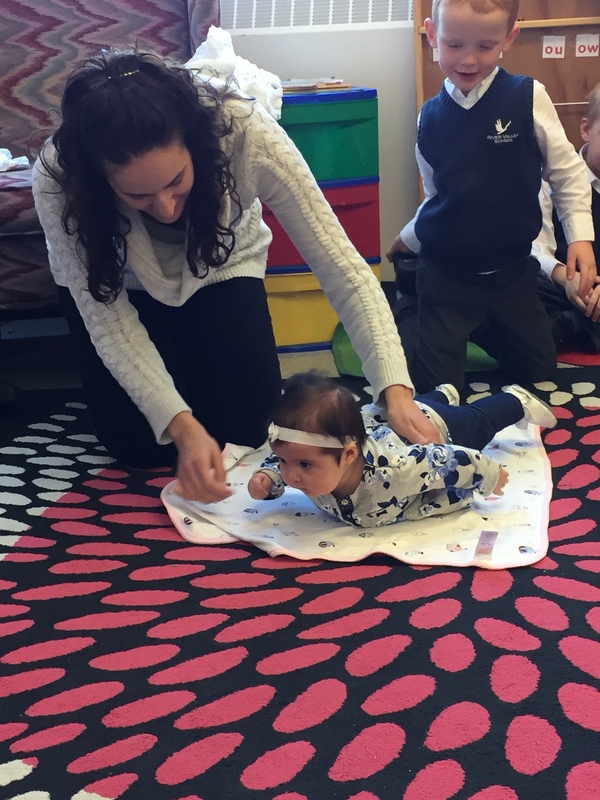 The repetitive action of this step encourages children to practice proper formation of their letters, recognizing where they should be sitting on the lines, as well as ensuring they add in finger space to help with maintaining legibility. 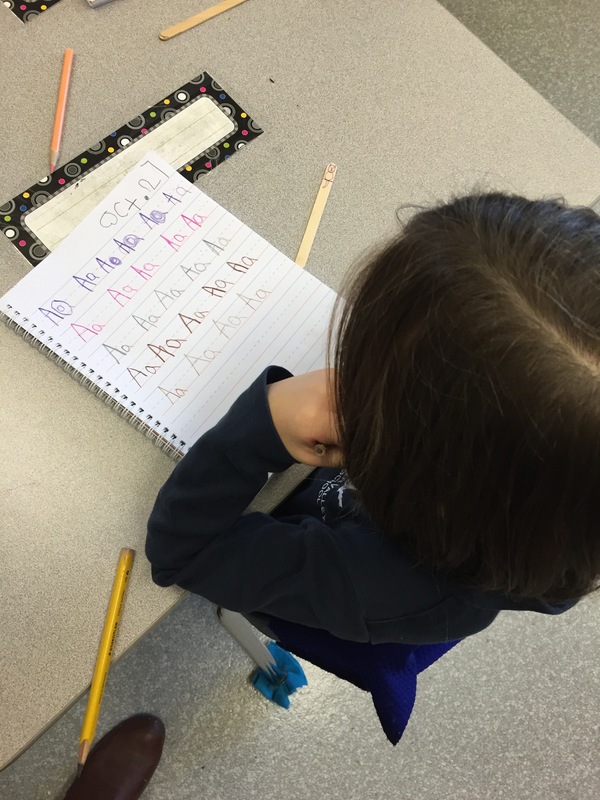 Our dear friend Clever Cat helps us with ensuring we write our letters so they are correctly sitting on the lines. The third step we complete is our Guided Drawings. This part of the program is a step-by-step lesson where the teacher completes one step, and then the students follow. 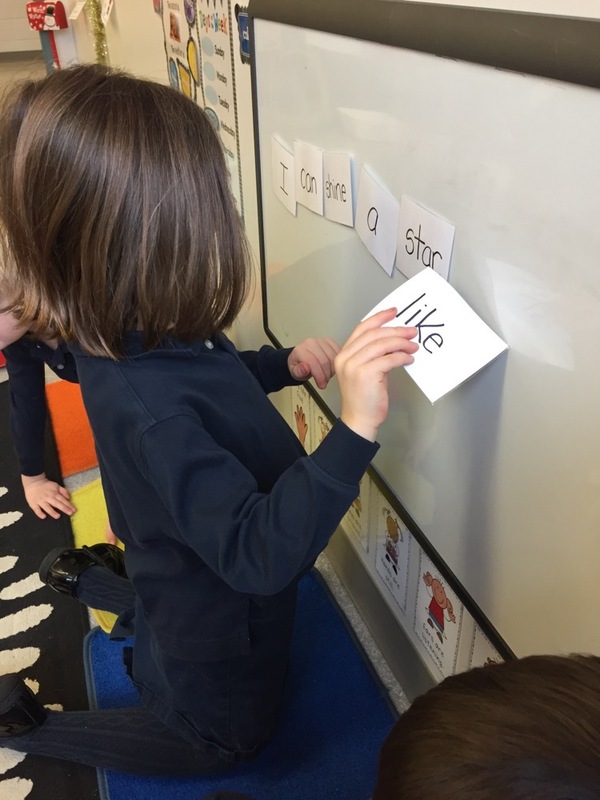 The children do this until we have all created a picture of something that, using the letter sounds we have learned, we will be successful with reading and writing correctly. 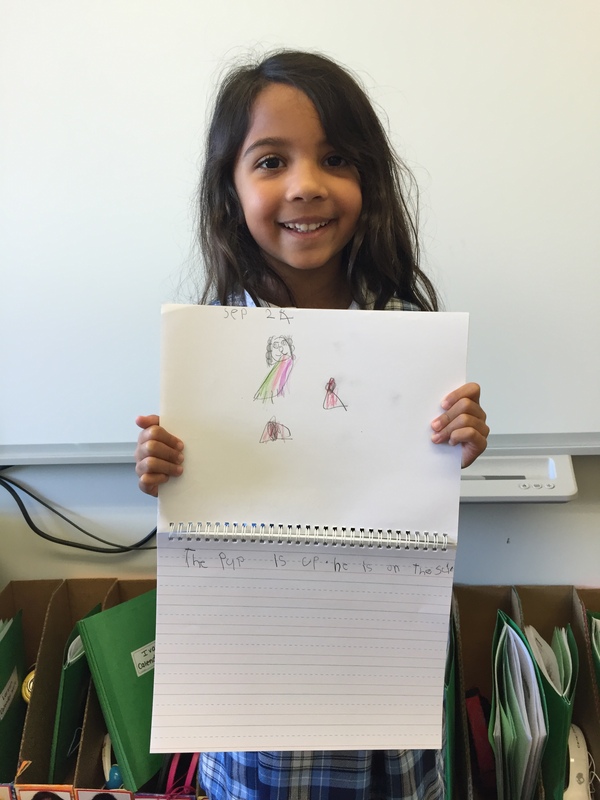 Students label their drawing using learned Animated Literacy gestures to sound out the words. 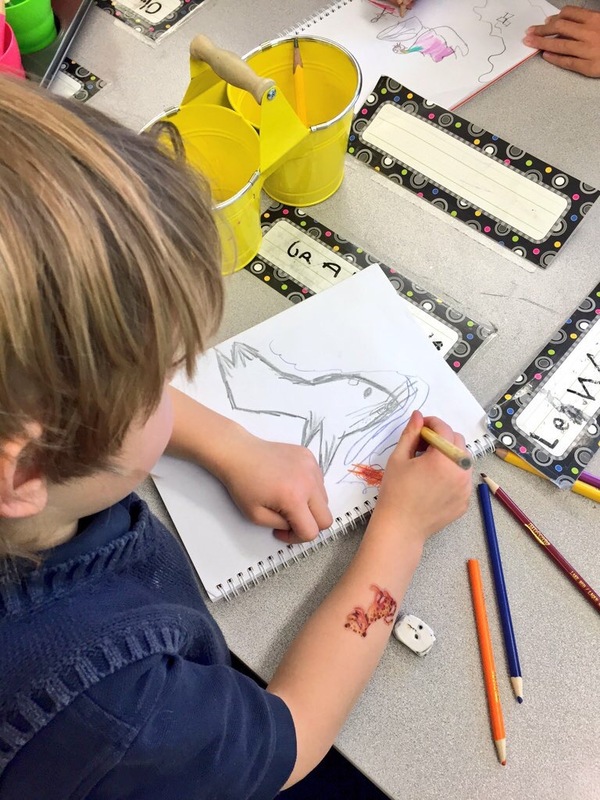 Through the process of drawing and labeling, students learn to connect their pictures and the word together. 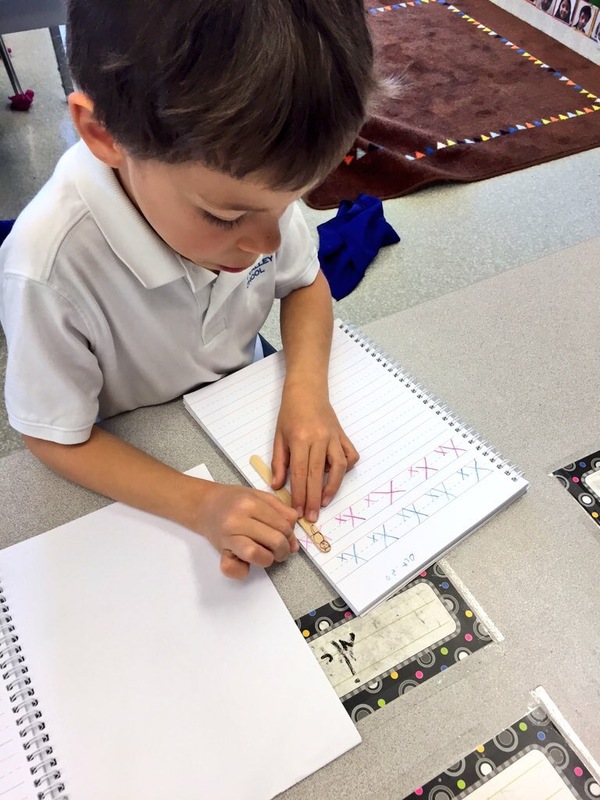 They can then create an understanding, using prior knowledge from step one and two, of how they were able to create an image of something that they can now successfully read, write and illustrate. For the fourth and final step of the program in my class, we complete journal entries. For this we have a starter sentence that we have on the board mixed out of order for the kids. A common attribute of poor readers is a failure to detect conflicts that cause a sentence to not make sense. An example sentence would be, “This is a jar of stars.” and we would put it on the board as, “stars. is jar a of This”. Students then work together to rearrange the sentence so it makes sense, using grammar tips they know such as a period going at the end of the sentence and an uppercase letter going at the front. 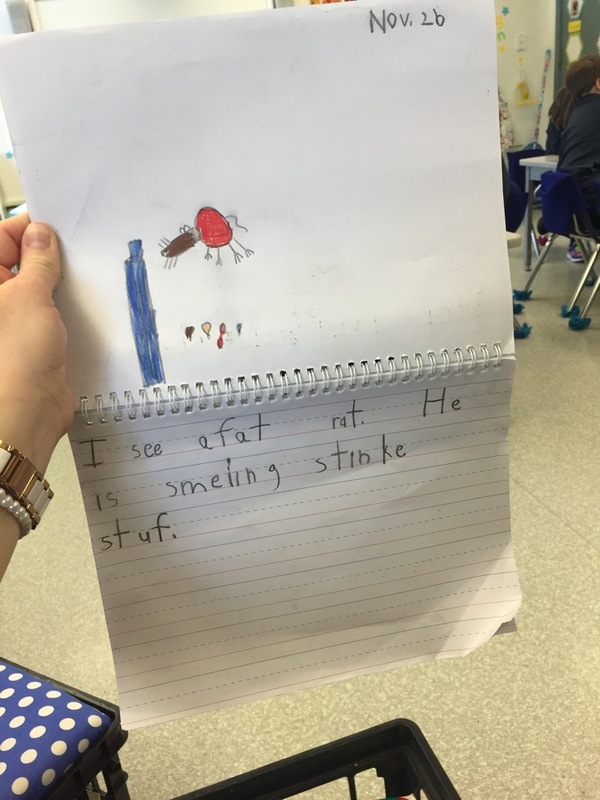 This sentence is then used as a starter sentence for a journal entry we compete, using the previous guided drawing to relate to their journal entry, developing it into a story. 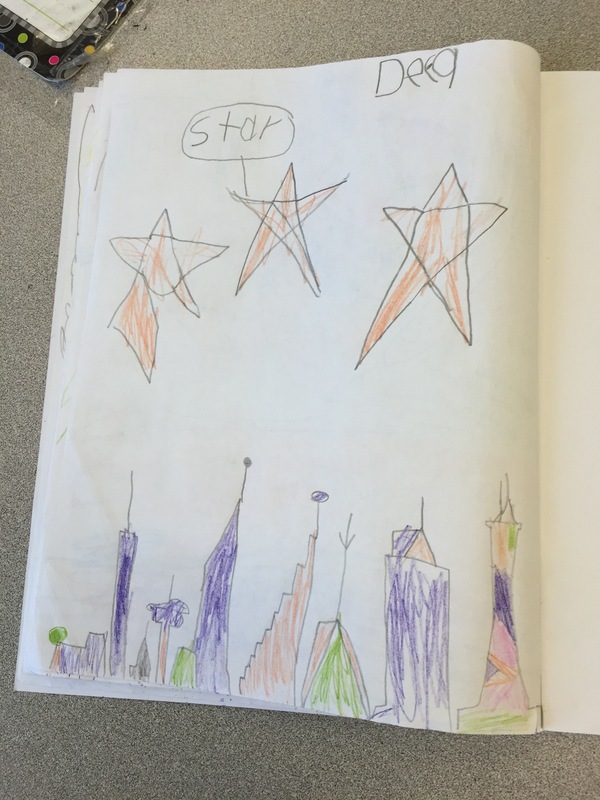 This is such an exciting component of the program because the students are creative with their stories and word choices and it ties all four steps together! This program is truly wonderful and the growth that happens with the children is incredible! 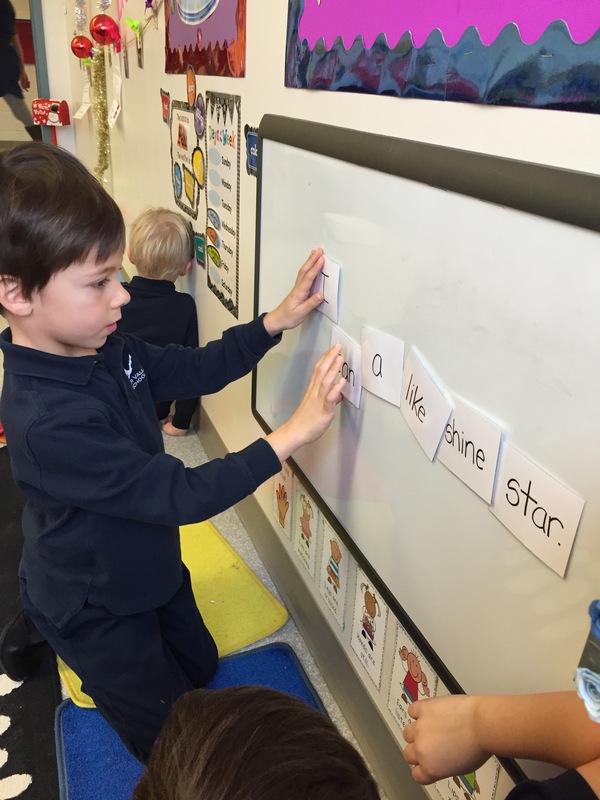 This approach to phonics is not only one that makes it easy to learn how to read and write, but it is FUN and that’s how learning should be! 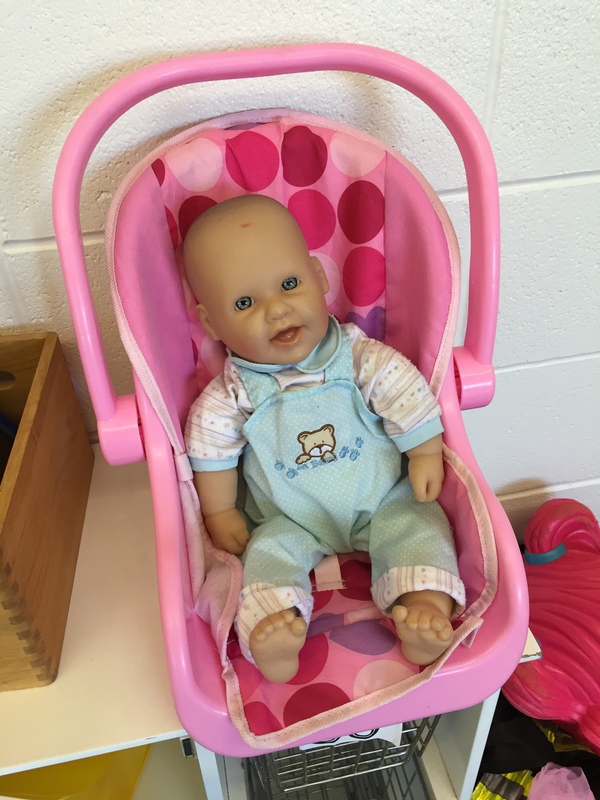 Sophia is an adorable and sweet baby girl who comes to visit us once a month in our Kindergarten classroom. 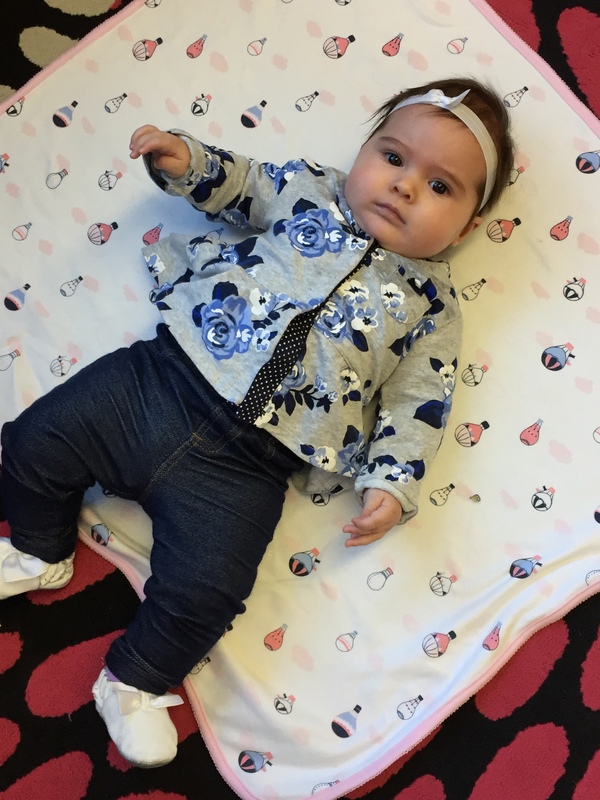 My FABULOUS teaching partner last year, Mrs. Elsayed, left for her maternity leave for this little cutie and we are so excited that we get to meet Sophia and watch her growth throughout the year. 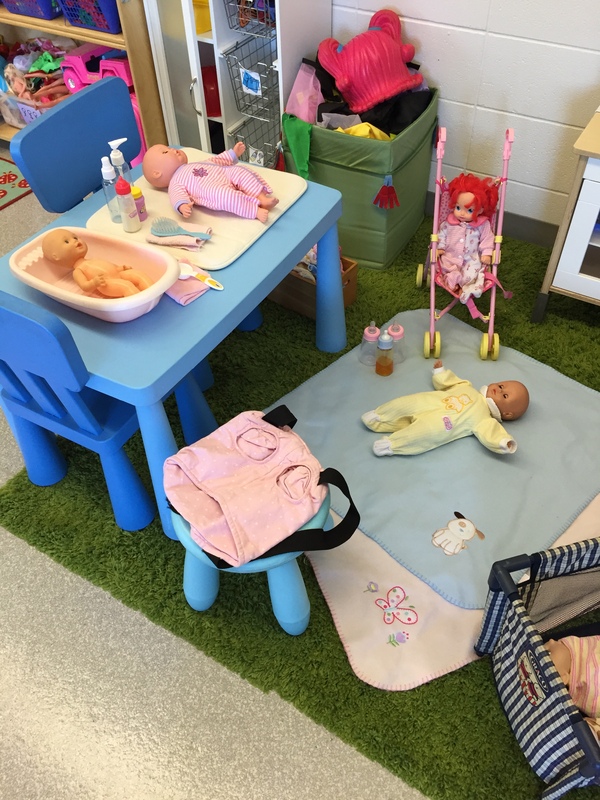 This program is fabulous, tying to Roots of Empathy, and it allows the children in Kindergarten to ask questions, witness growth and observe the excitement of a baby’s first year of life. With our first exciting visit we discovered that at three months old, Sophia weighed 16 lbs, she had lots of hair, no teeth and could only communicate through crying or noise making. We measured Sophia with yarn and counted out blocks to see how many blocks tall she was. She was 29 blocks tall! 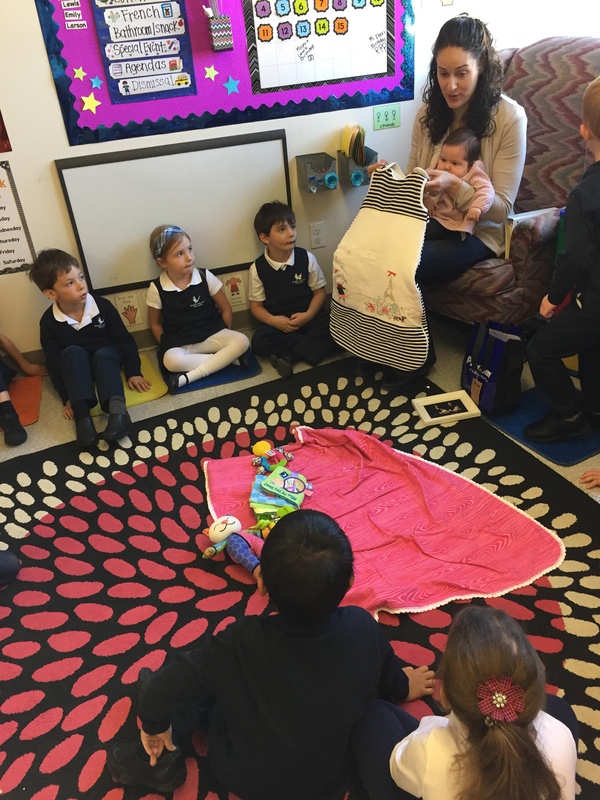 Mrs. Elsayed brought in some photos of baby Sophia with her family, shared some of Sophia’s toys with us, and she showed us what Sophia sleeps in. It was so exciting to meet Sophia and we are excited to visit with her each month and watch her grow. 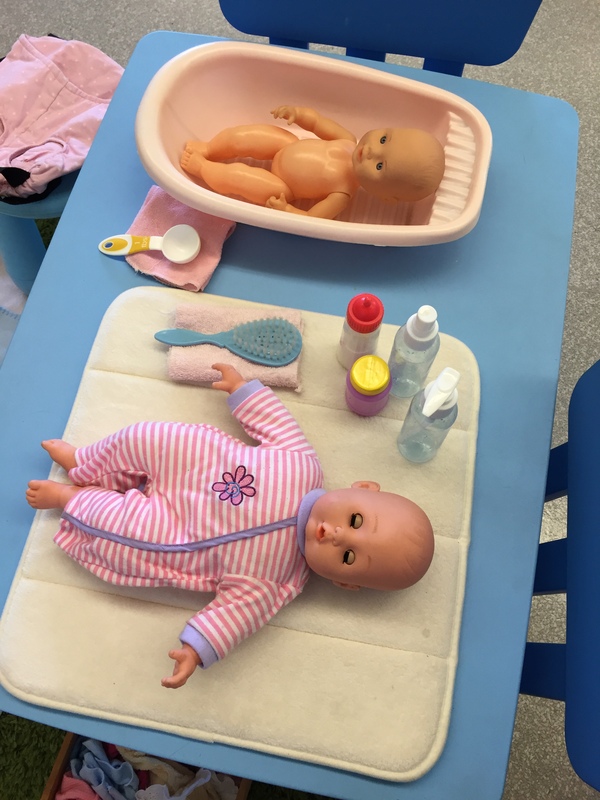 We even had a Baby Care play centre, helping us understand and get to know how to care for a sweet little baby like Sophia! For our second visit with Sophia on November 18, she had already shown tremendous growth. She weighed in at 17 lbs and went from wearing a size one diaper to a size three! We measured her with yarn and discovered that she had grow by one more block, making her 30 blocks tall! We can’t wait to have her visit us again in December!